Welcome to Home Recorder, the home recording studio equipment superstore. If you are building a home recording studio and looking for home recording studio equipment, you're in the right place! Home Recorder gives you great selection of affordable professional home recording studio equipment including: recording software, hardware, musical instruments, audio accessories, a beginner's guide on how to build a home recording studio, and much more. Need help deciding? Our online support staff is experienced in both professional and home recording and here to help you, so feel free to contact us anytime. Stock up on your home recording studio equipment at Home Recorder. Click a link and start browsing. We bet you'll find something you like! 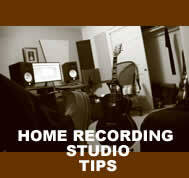 Home Recording Studio Tips - Watch Now! 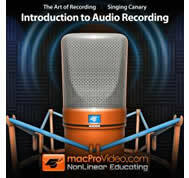 Online Recording Classes - Watch Now! 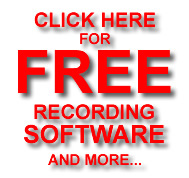 FREE Recording Software and more!